Valparaiso. The Art and Architecture. 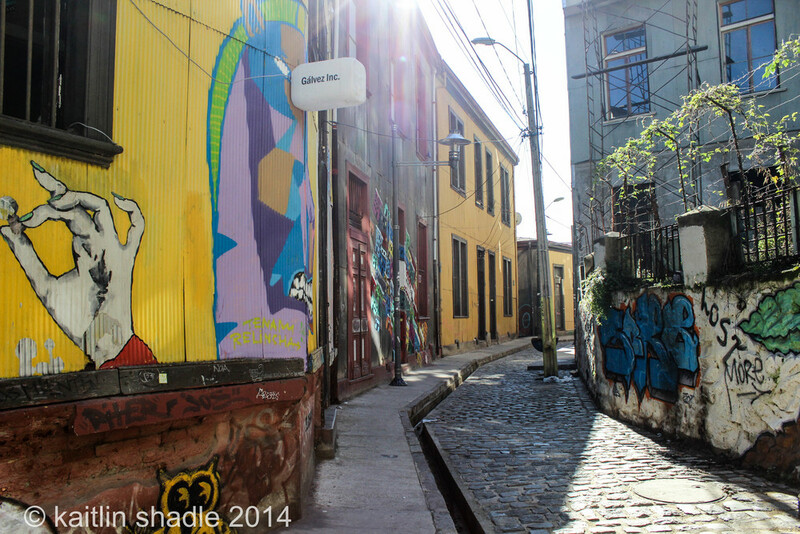 The art, architecture and skyline of Valparaiso are unique and captivating. If you have ever been to Buenos Aires and visited San Telmo and La Boca you will see resemblances of both in this port city. My roommate, Becky, put it perfectly, "It's like San Telmo and La Boca got together and had a love child." 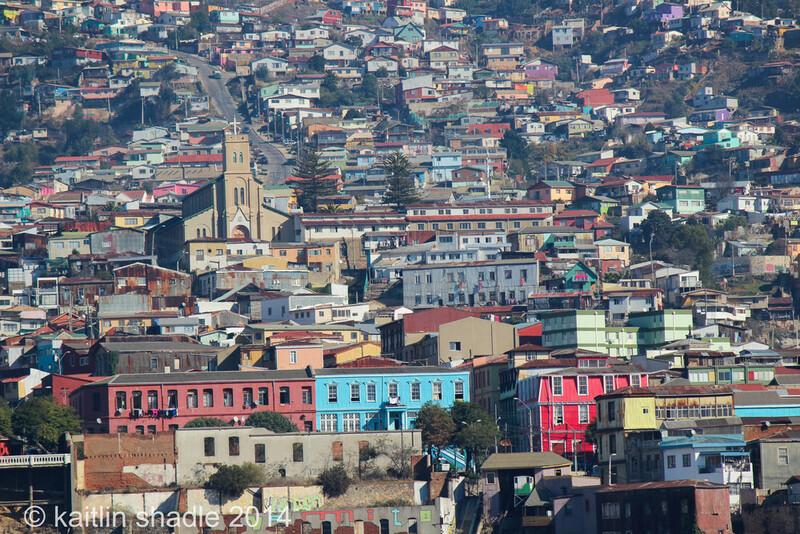 Valparaiso and La Boca are both ports and so the colors on the houses are/were often remnants from the fishing boats. 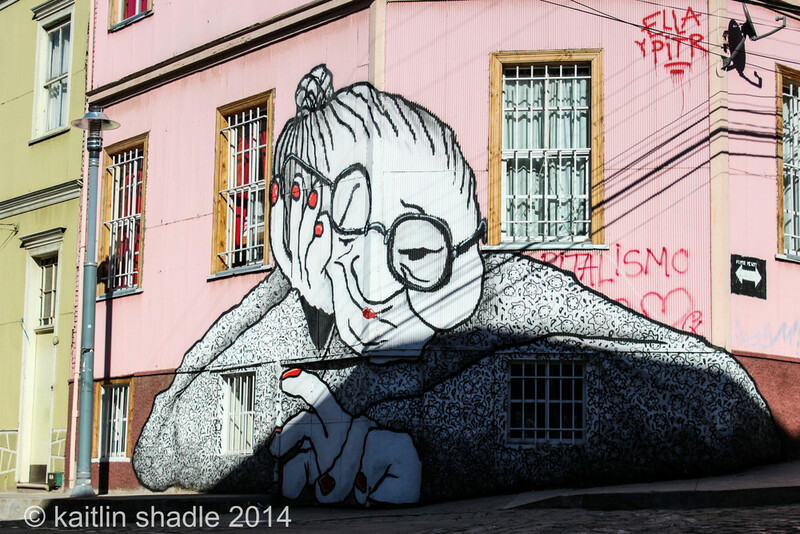 The architecture and artsy vibe that is often felt in San Telmo is also sensed in Valparaiso. 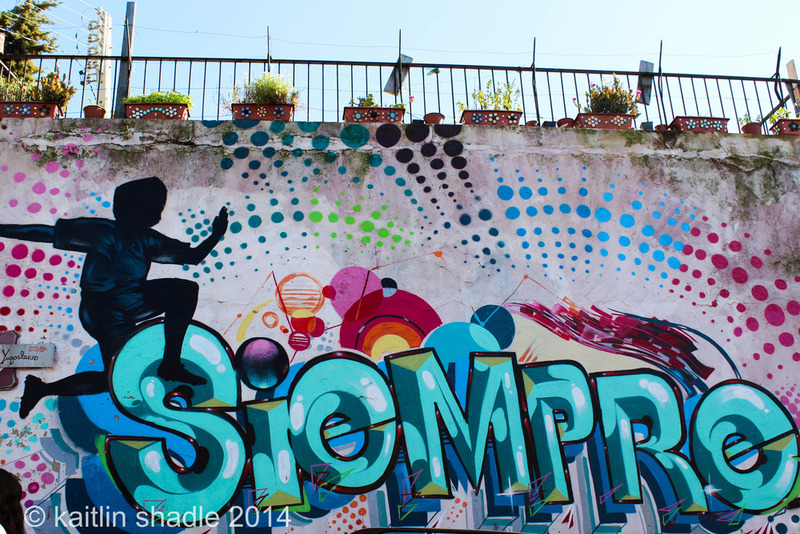 The graffiti and urban art is everywhere. 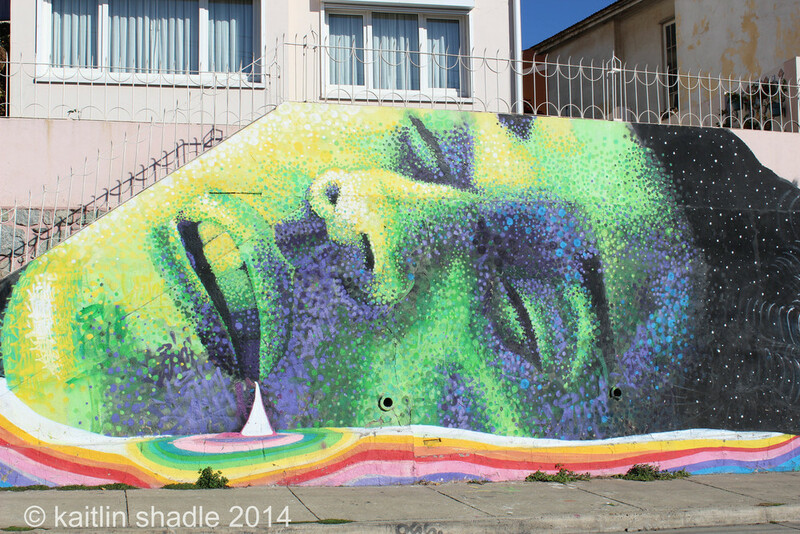 People will often hire an artist to come put a mural on the side of their homes so that others don't come around and tag their houses. There is a common respect among the graffiti artists that they will generally not tag someone else's art. The downside to this is that the person hiring the artist doesn't have much of a say in what goes on their house...but they would rather have something explicit instead of a wall filled with ugly tags. Not all the urban art was explicit - in fact the majority was not. Our favorite piece that we saw was an interpretation of Van Gogh's Sunflowers and Starry Night combined. We knew the piece was somewhere in the city and searched for an afternoon trying to find it...successfully on our walk back to our hostel after just about giving up. Finally, because Valpo is built on over 30 hills, you can find several elevators that take you up the side of the hills. There is a small cost (cents) and it is a form of public transportation. You can see a picture of the tracks going up the side of the hill in black and white. Whoever came up with this idea was a genius! 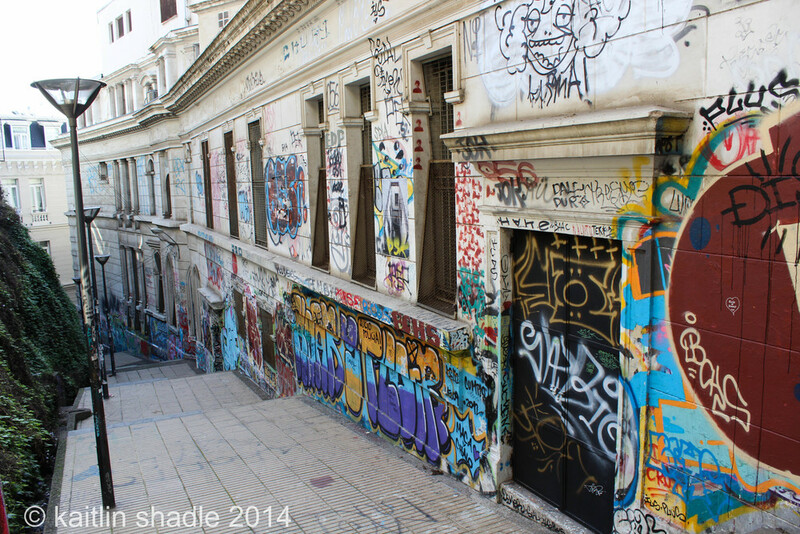 If in Chile, Valparaiso is a must see.